Bike the C-Bus 2011 photos from Sarah Gaylor Photography are posted on Flickr! Great Scott we need an energy revolution! Moving Planet is a global event to celebrate the transition away from fossil fuels to clean energy. In Columbus, our Moving Planet event, 'Bike To The Future' will be a giant bike ride and party at the Franklin Park Amphitheater for hundreds of people. We’ll have music, food, and activities for children. We will call on our local leaders both public and private to embrace clean energy, clean air, and climate change solutions. LIVE MUSIC: Jesse Henry with Chris Stevens and Coal Fired Bicycle! Join us on the 24th at noon in Franklin Park for the largest party for the planet in Ohio history! Ride the beautiful hills of Knox County, slow down for buggies. Century route and longer loops are challenging CFC tune-ups. Lower-cost short route have less hills and uses Kokosing Gap Trail back to Gambier. 33, 62, 78 and 100 mile options will be marked. The Second PBR Ride is upon us! On September 25th we are once again celebrating the 2-wheeler, brought to us by Columbus Food League (formerly Betty's Family Restaurants)! We are meeting at Surly Girl at 3PM, and will then tour Columbus, stopping by Jury Room for another PBR. We will be having an after party at Magnolia Thunderpussy, so along with your PBR, you can get your music and accessories fix. Editor's Note: Will we experience these types of issues if/when cycling lanes are installed in Columbus? Probably. These issues exist due to lack of education and enforcement. FROM TDB: Being a biker in the District presents a number of obstacles. Either your lane is blocked by a delivery truck or someone's after your ride's parts. Here's a review of the common dangers of cycling to help you remember what to watch for. Slipnot Bicycle Traction Systems allow you to get out and ride! From the road to the single tracks, Slipnot provides better traction on ice, snow and mud than studded tires without the extra hassle or expense. Custom sizes available upon request. Sets available for two different sized tires. Slipnot BTS requires 1/4" of clearance around tire. Mark came to us from Atlanta, he was looking for a bike that he was going to keep in Portland while visiting family here. Mark is one of those kinds of customer that liked what he saw us making and wanted us to make him something that would be in line with our interests. He wanted a single speed bike for running around town with, with the ability to go on longer rides if the mood struck. We built a bike with brushed stainless steel lugs and fork crown, and built up a parts package that emphasized a classic bike feel. The resulting bike was given the prize of best city bike at the 2011 North American Handmade Bike Show in Austin Texas. We are honored to accept the award. Perennial winner of Bicycling Magazine and the League of American Bicyclists Best Biking in America Awards. The Central Indiana Bicycling Association, Inc. (CIBA) is proud to sponsor the 44th Annual Hilly Hundred Weekend, a classic bicycling event designed for the touring cyclists. If you like a bicycling challenge that includes entertainment and fellowship with more than 5,000 cyclists from over 40 states and several foreign countries, the Hilly is for you. • The challenging terrain is a wonderful mix of gently rolling country roads and breathtaking hills (literally). Bloomington. There are some hills and scenic views on the new route that will leave you breathless. bragging hill, Mt. Tabor. A short route is available on Sunday. • Free food and live(ly) entertainment at each of three rest stops on both Saturday and Sunday. • Attendance is limited -- get your entry in early! • As always, the Hilly is not a race, so come for a challenging tour but leave the racing gear at home. • You must wear a bicycle helmet to participate in the ride. The City of Cleveland and The Downtown Cleveland Alliance offer the region’s first full service bicycle parking and commuter center. The Bike Rack demonstrates a collective effort to create a more bike friendly environment in downtown Cleveland, welcoming bicyclists with the convenience of secure bicycle parking and fulfilling everyday commuting needs with individual shower/changing facilities, lockers, and a full service bicycle repair shop. The Bike Rack directly supports the Sustainable Cleveland 2019 Initiative by promoting alternative forms of transportation and was funded from Energy Efficiency Conservation Block Grants (EECBG) received as part of the American Recovery and Reinvestment Act (ARRA). Okay, here is the deal...KustomCaps.com makes cool, laser-etched headset caps in a variety of sweet anodized colors. That’s it. You can buy one of our stock caps or select the "Your Message Here" or “Fully Kustom” caps to make things even more personal. Roadie, MTB, BMX, Fixie...hey, we love you all. KustomCaps are the perfect finishing touch for your ride. 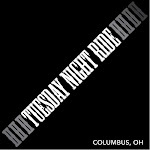 Additionally, large orders are no problem, we can help you out with a small batch for your Wednesday night club ride or a thousand for your charity ride, bike store or other promo use. And...look for our limited edition artist series and more coming soon. If you get a chance, please send us photos of your rigs with our caps. We’d love to see them. This is a list of cities in Ohio with mandatory helmet laws. For the updated list please see Bicycle Helmet Safety Institute. Livery Design Group S-Line Frame - Look at that dropout! Built similar to how Bridgestone did it back in 1993. This build is great for commuting, riding unpaved fire roads or light off-road. The compact double crankset along with a wide range 9 speed cassette will give you great top end speed and very easy gears for climbing or treacherous terrain. The ride turnout looked much larger this year than in 2010. This ride is part of the Paw Paw Festival at Lake Snowden and is organized by Athens Bicycle. The ride fee includes the entrance fee to the festival, so once you return from the ride you can wander around and sample the various Paw Paw concoctions and food. There is a good bit of climbing, but the scenery is great and worth it, including several ridge top sections that have great views. The ride goes through Zaleski State Park and reaches 26% grade on the climb. I will be back in 2012! Editor's Note: While I believe bike paths do have their place in the world, I really think cyclists should be able to ride on the streets with traffic without feeling like they will be run over at any moment. This path in Seattle is poorly designed and is not the way to keep cyclists safe. Did a Bike Path Just Kill a Seattle Cyclist? Amid all the grief and remembrances of Vivace’s Brian Fairbrother, who suffered a tragic cycling accident in late August and sustained brain damage that has led to his removal from life support, there is the nagging question of how such an experienced, helmet-wearing cyclist crashed so catastrophically. As I read the account–that Fairbrother wiped out on some dirt near the bike path, but was found on nearby stairs–I couldn’t wrap my head around it. Then I was sent these photos of the “bike path” in question. As you can see, it’s not apparent (or even reasonable to assume) that the bike path veers suddenly into the street against oncoming car traffic (and oncoming cyclists, even if you do make the mental adjustment). Nor can you see that there are stairs ahead until right upon them. I heard about Brian’s accident (like many, many others on Capitol Hill, I knew him from his 20 years of work for Vivace Espresso) not long after writing this post: “The Economist to Seattle: Car Speed Kills,” about failures of Seattle’s biking infrastructure. As it happens, I had just met the cyclist killed in that incident about three weeks before he was hit by a car. These accidents are beginning to feel less and less truly accidental.